The day of the public opening ceremony. It started with a fashion show, and this time the dresses of Irna La Perle takes the act. 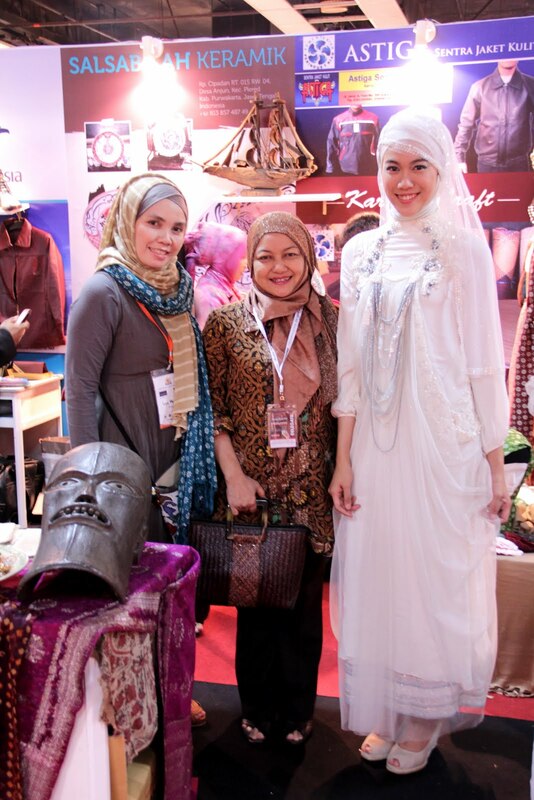 and finally our first Malaysian fashion blogger who came to our booth! Jezmine! And here is our lovely customers who came and doing try outs with our scarf, aren't the look lovely?? Wowness. we would never forget your love with us. it's such a pleasant time to have met you. see you next day !